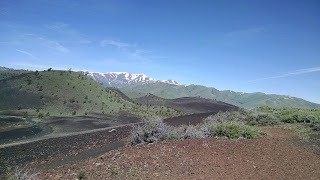 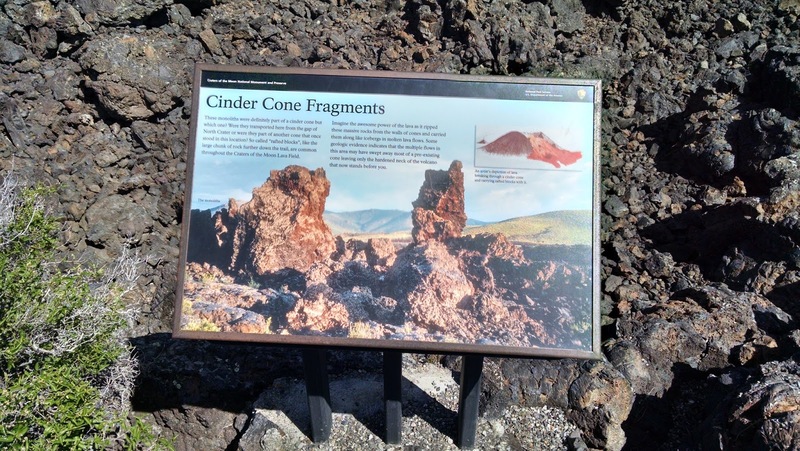 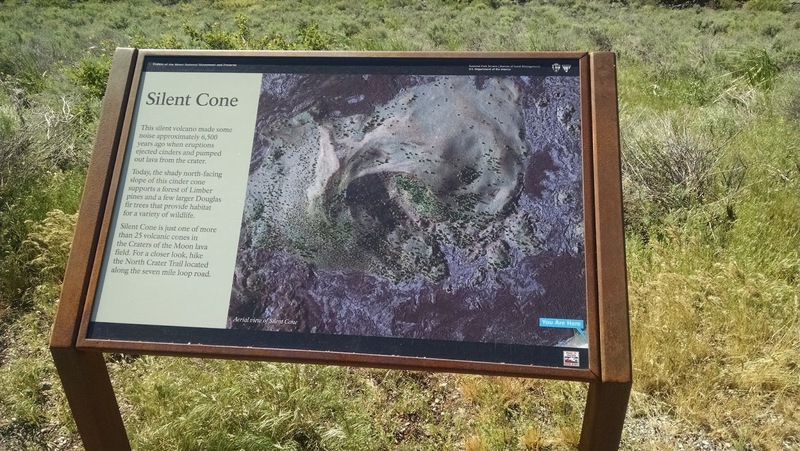 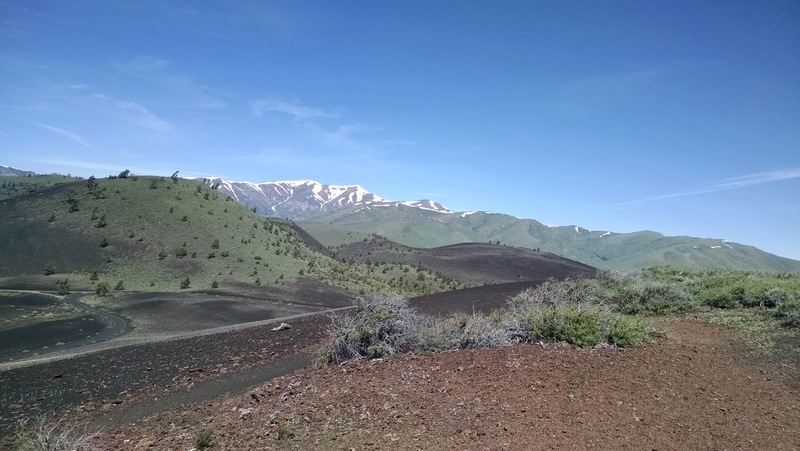 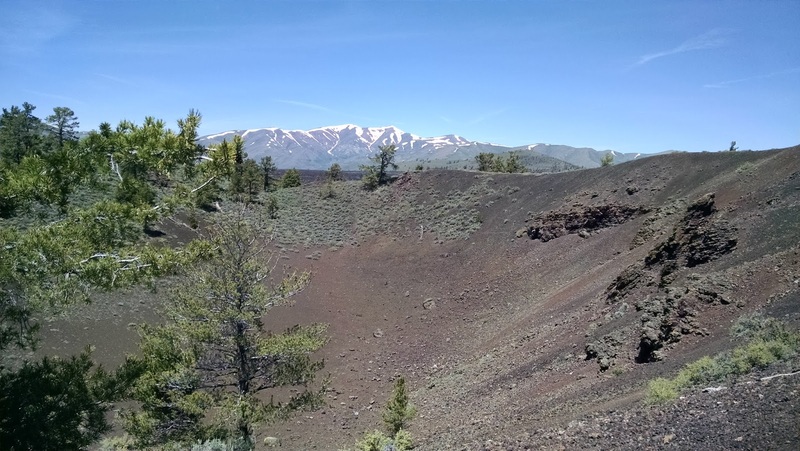 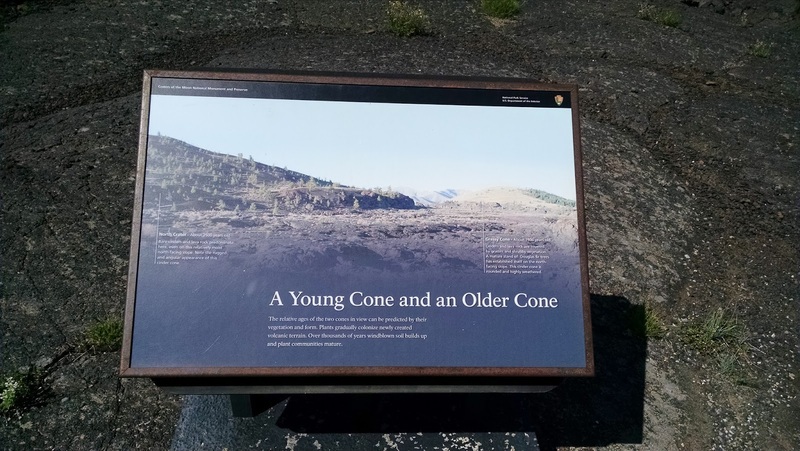 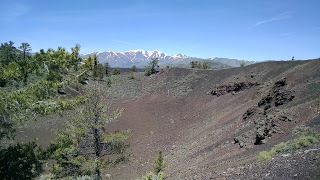 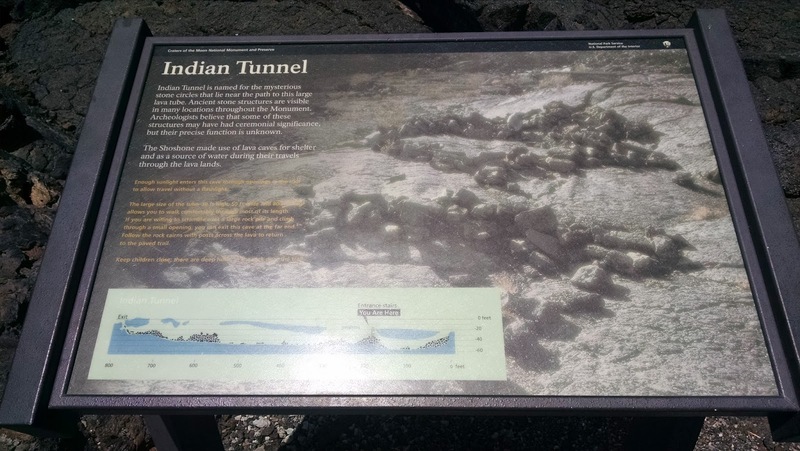 For the longest time, I've wanted to visit Craters of the Moon State Park located just outside of Arco, Idaho. 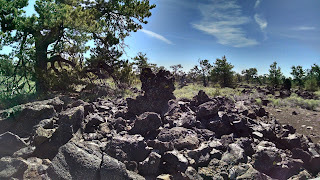 Whenever I was looking at Google Maps, I'd see this big blog of reserved space and I knew I had to visit. 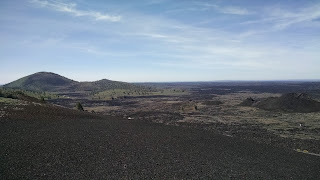 This past weekend, I finally had that opportunity. On my way back to Salt Lake City from Sun Valley, ID I decided to make a detour and check this place out. I stopped in just shy of noon on a Monday and for the most part, the park wasn't too terribly busy. There were some children there, but mostly older adults who were traveling the west. I also detected a lot of foreign accents, so Europeans obviously stop by too. 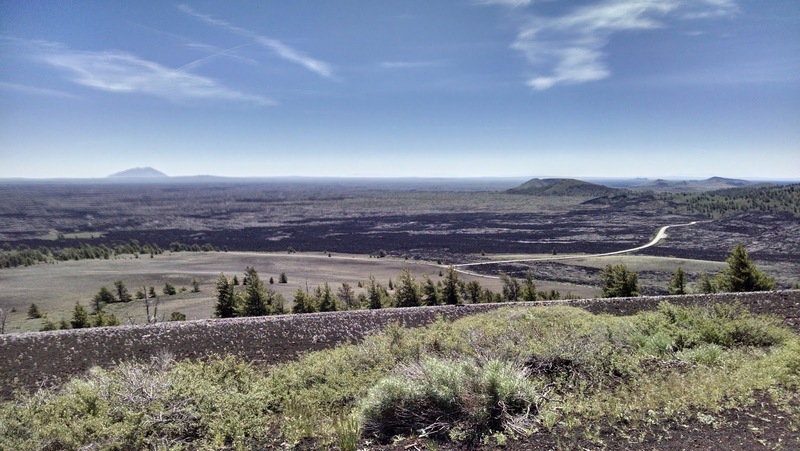 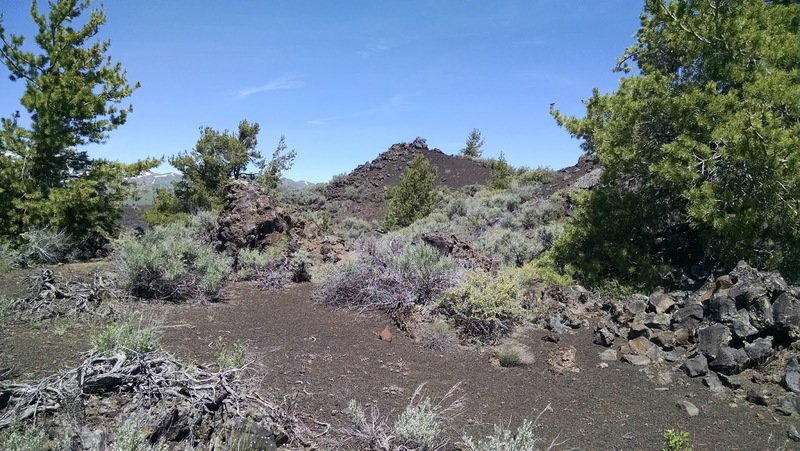 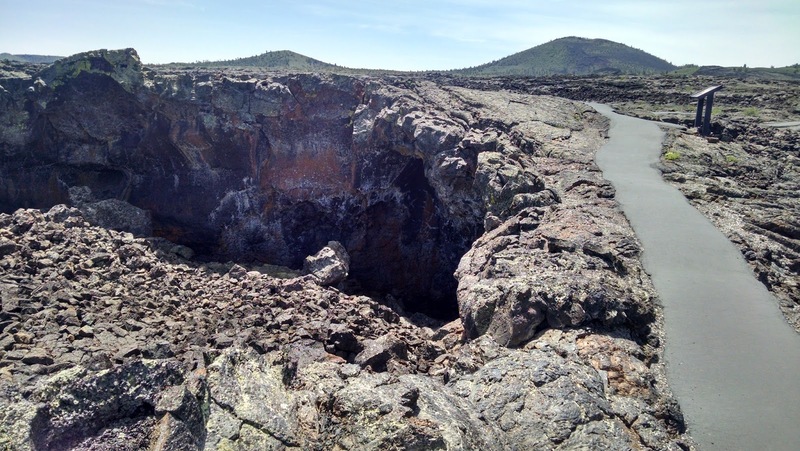 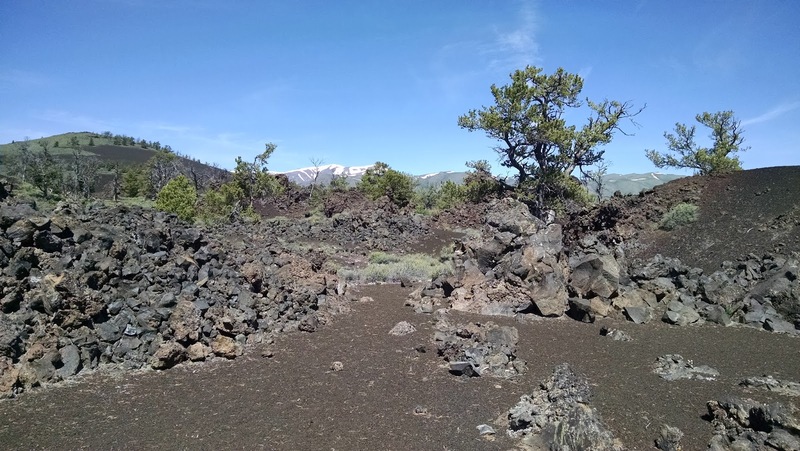 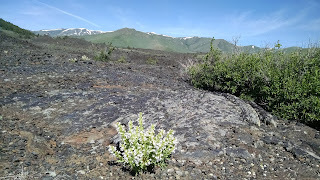 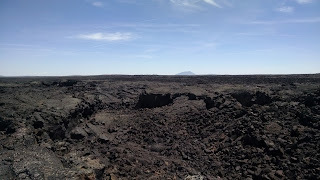 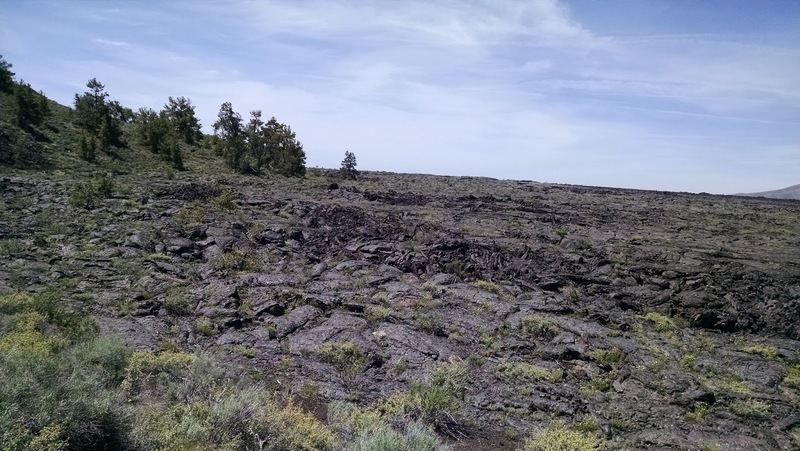 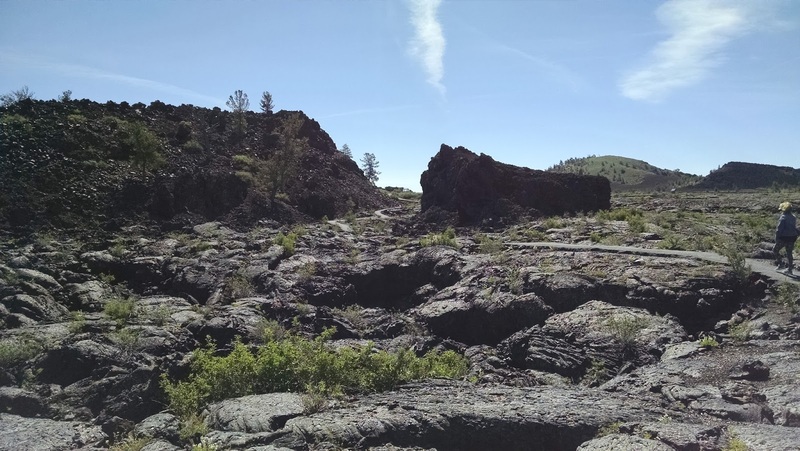 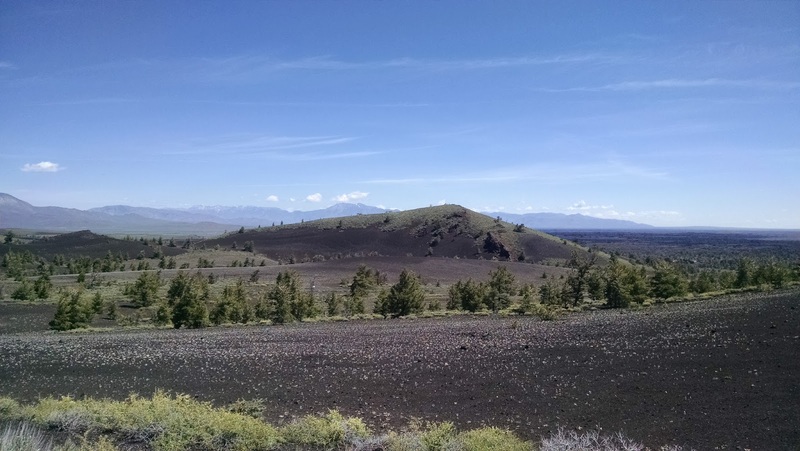 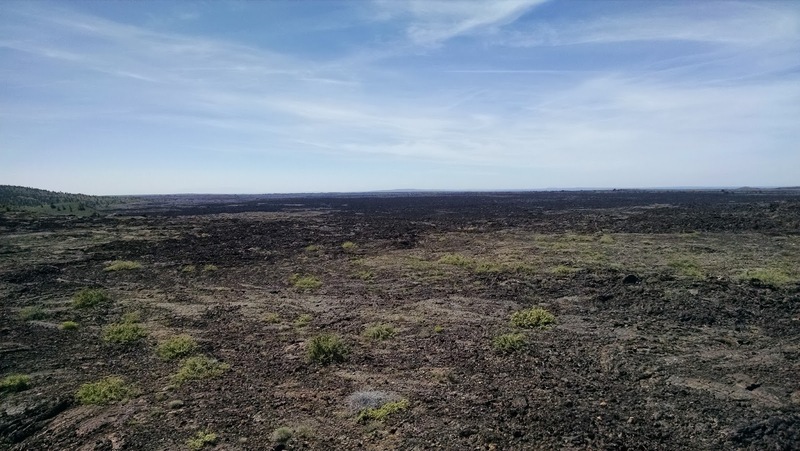 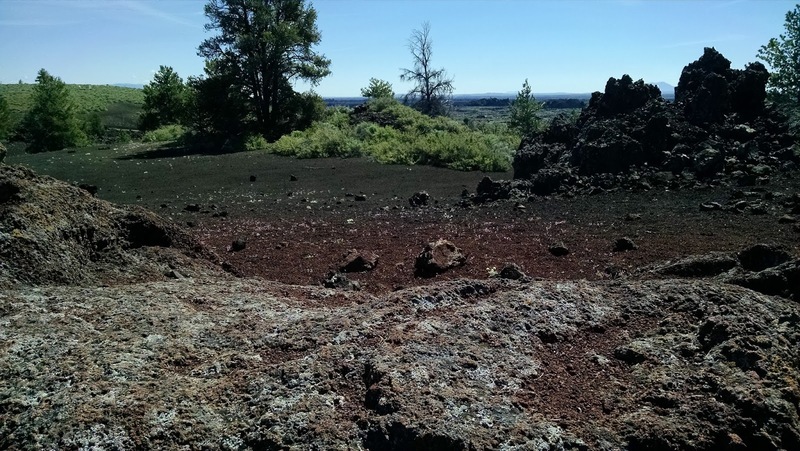 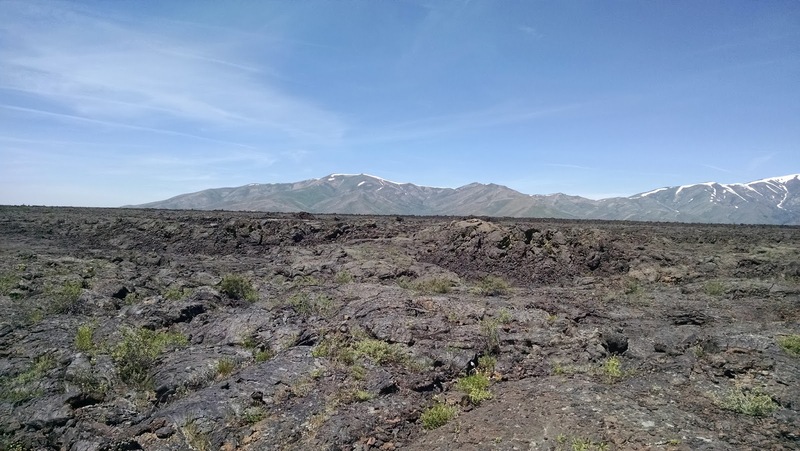 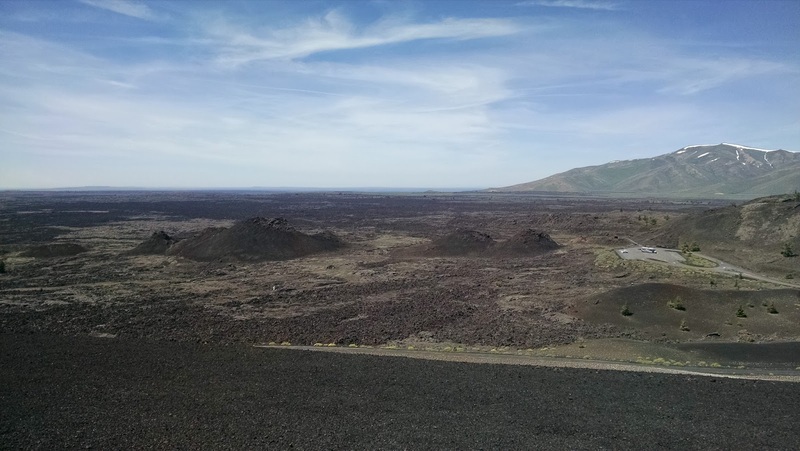 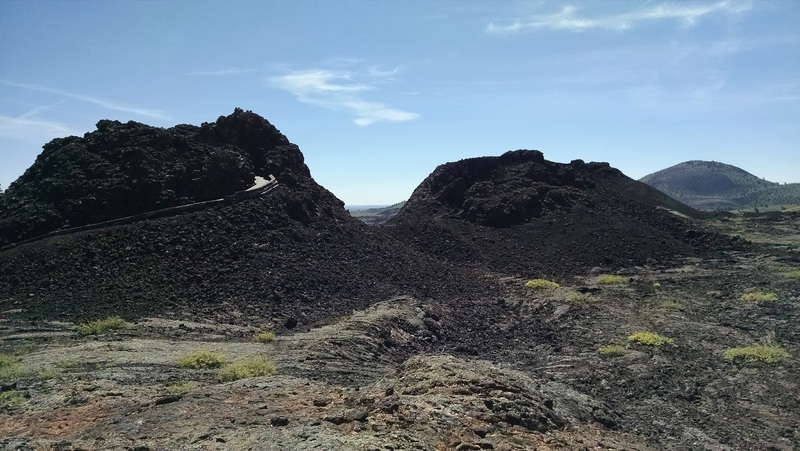 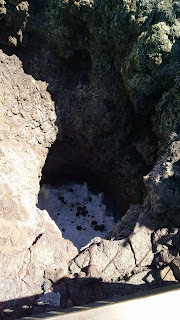 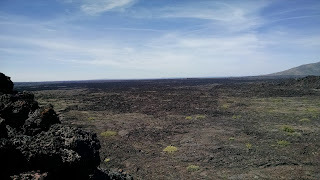 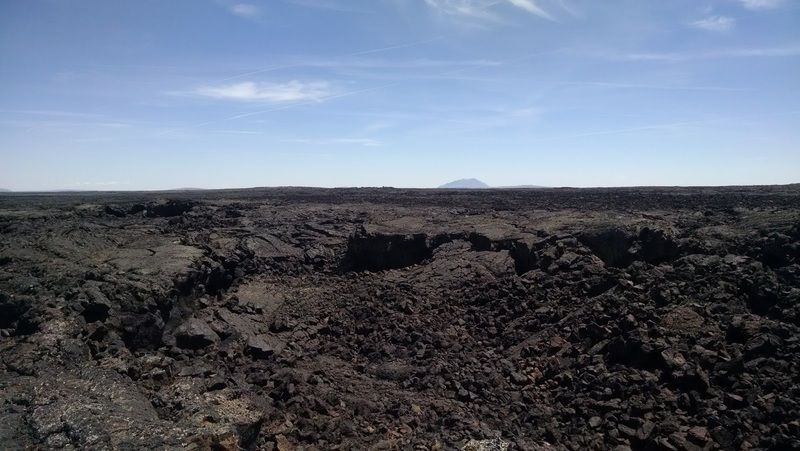 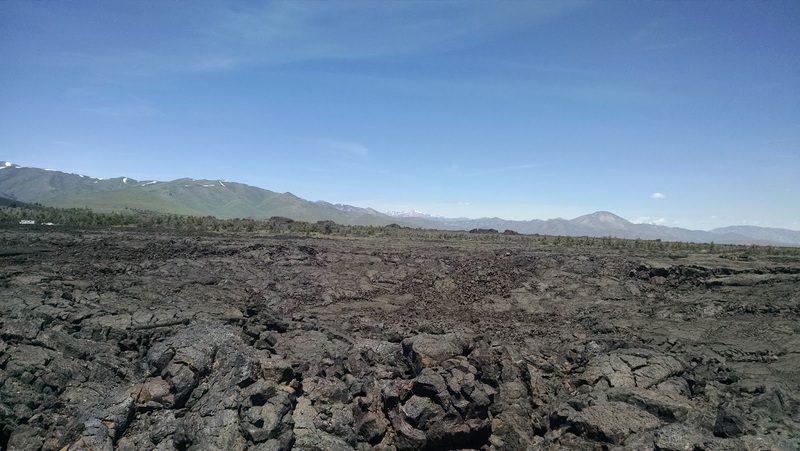 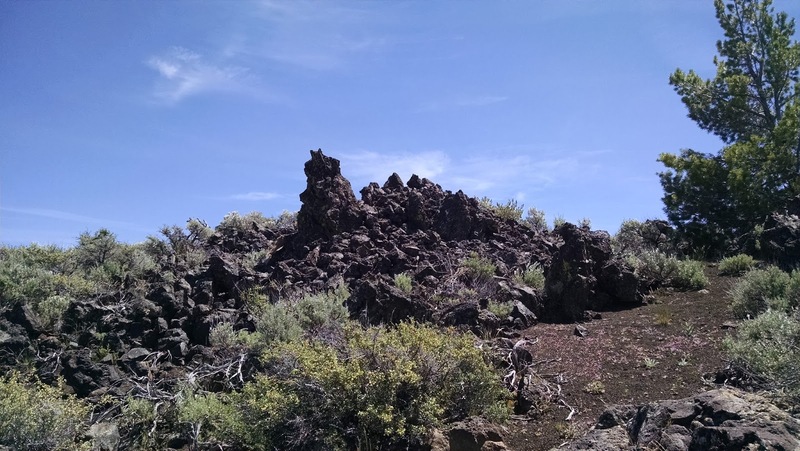 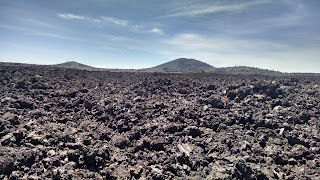 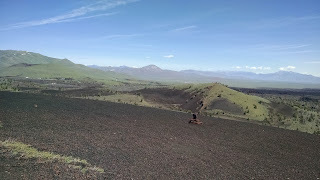 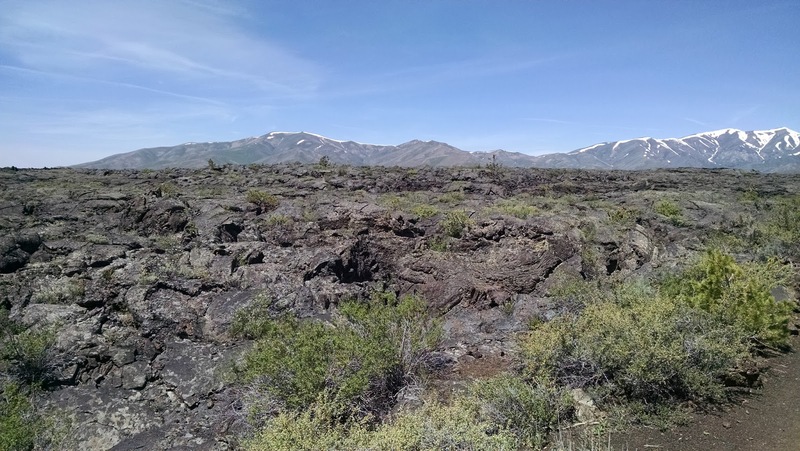 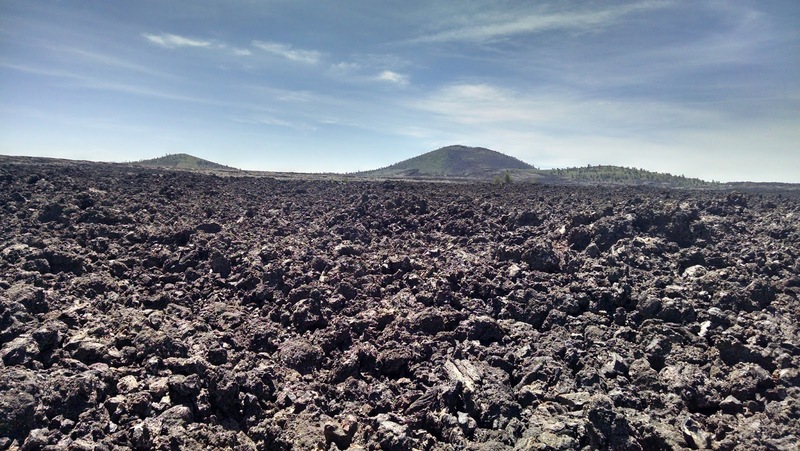 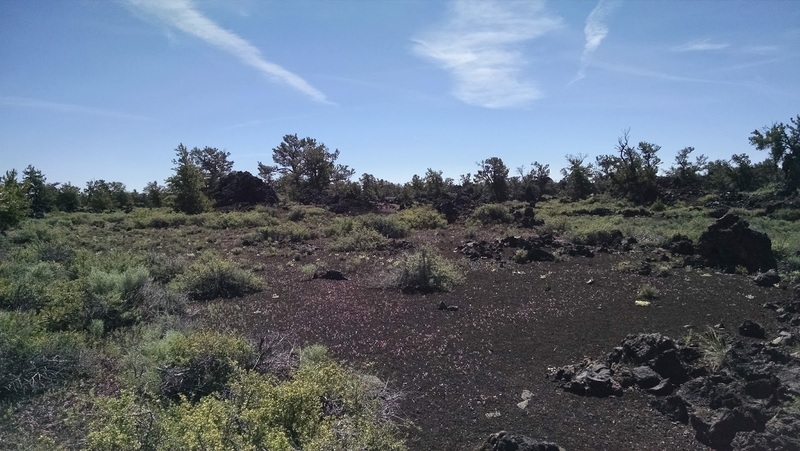 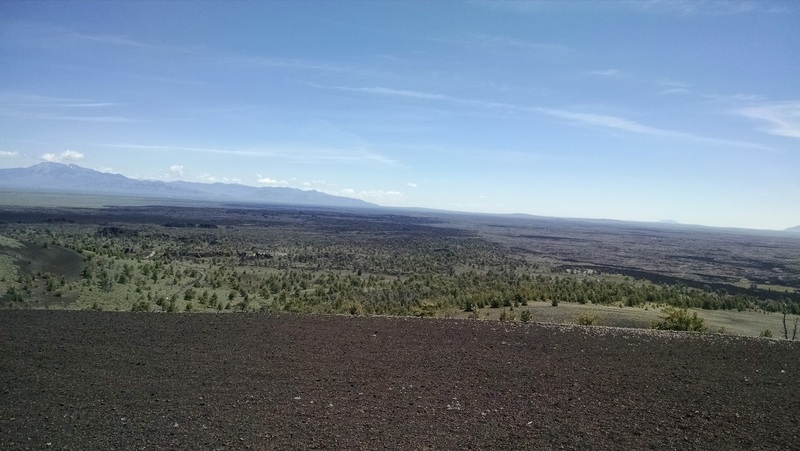 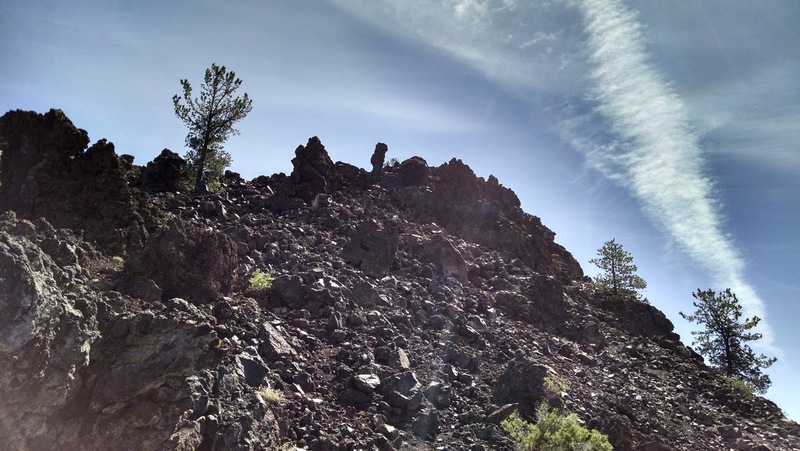 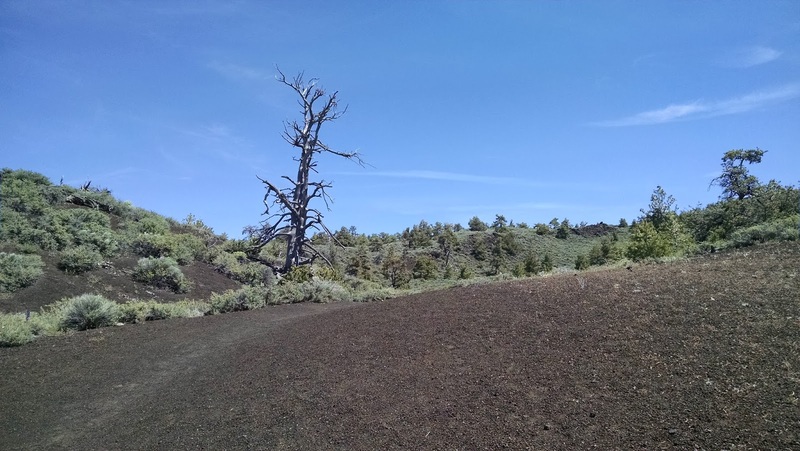 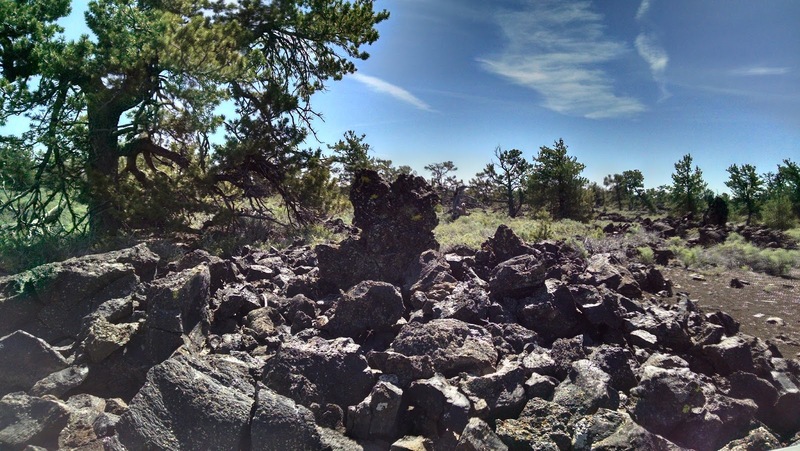 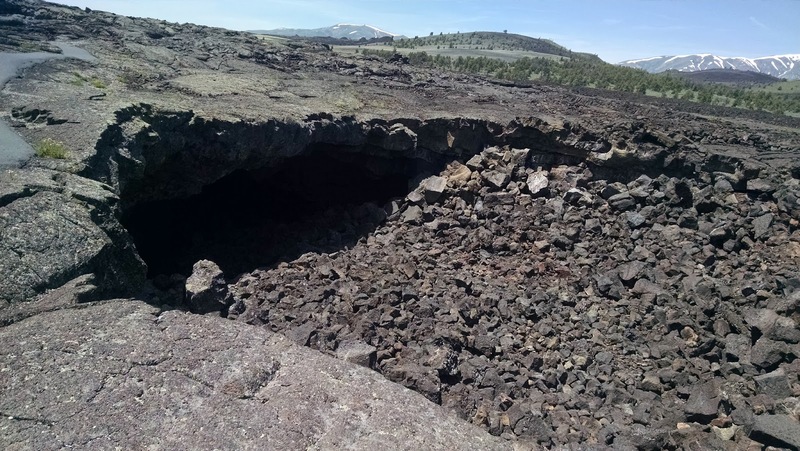 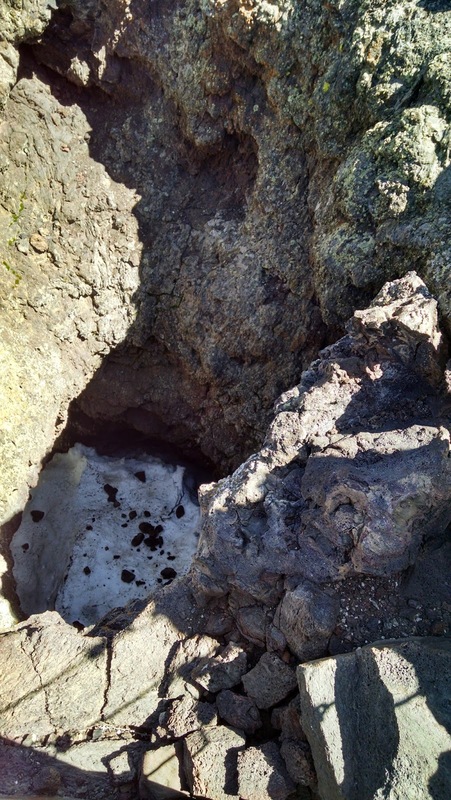 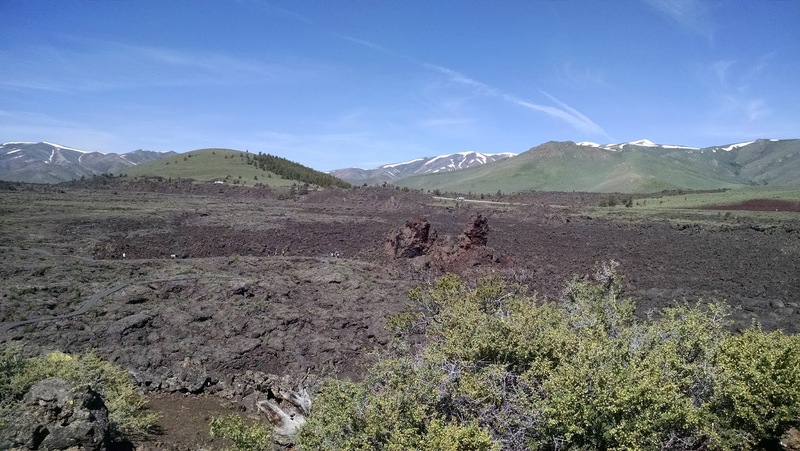 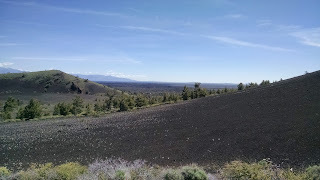 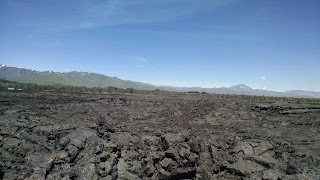 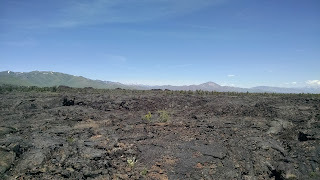 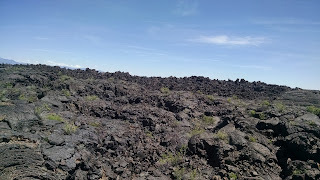 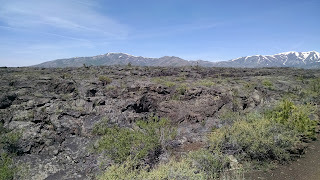 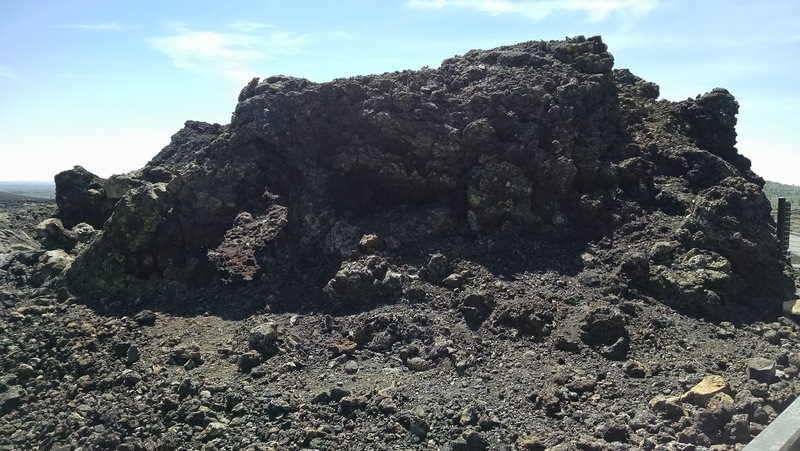 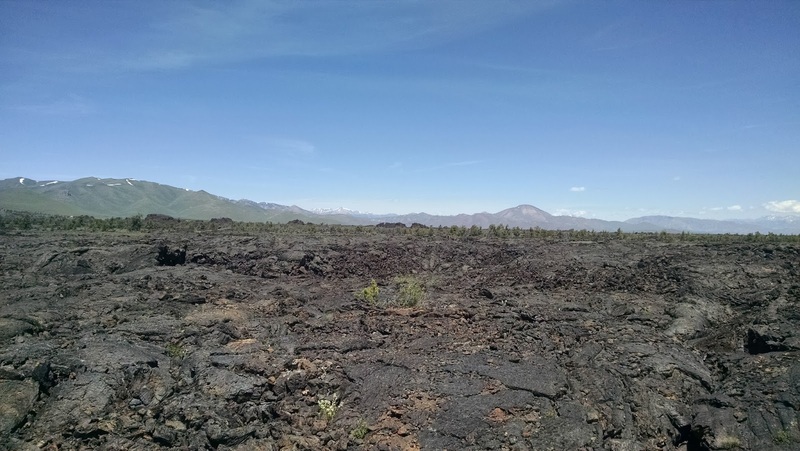 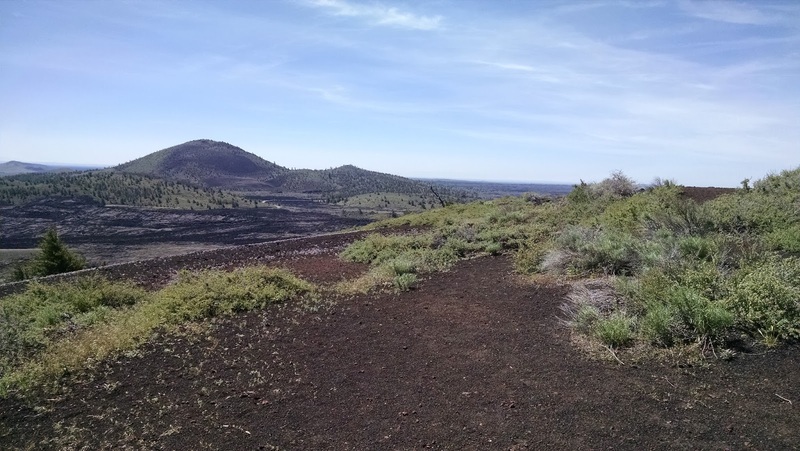 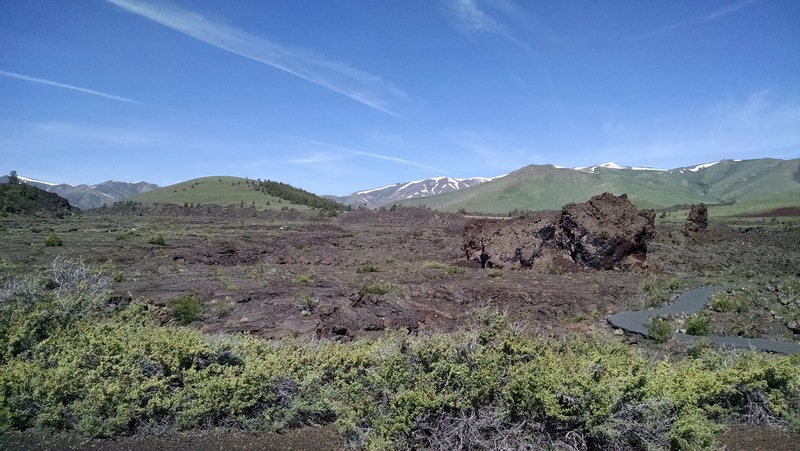 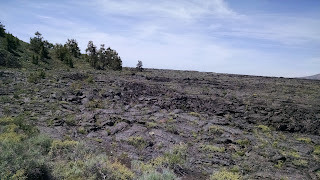 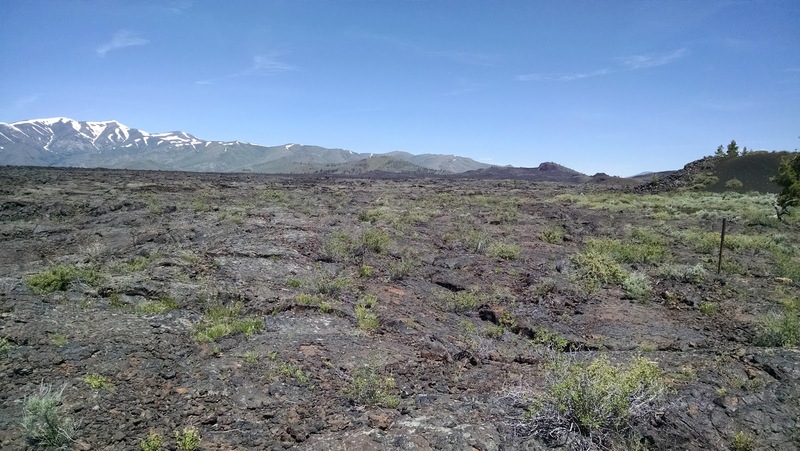 Craters of the Moon can be best described as a massive lava field. 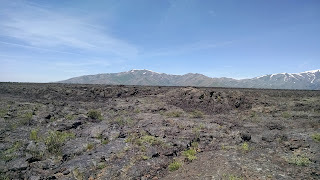 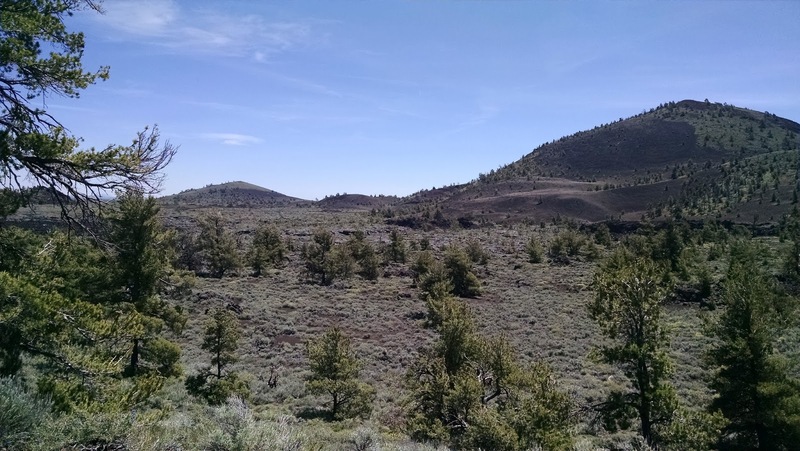 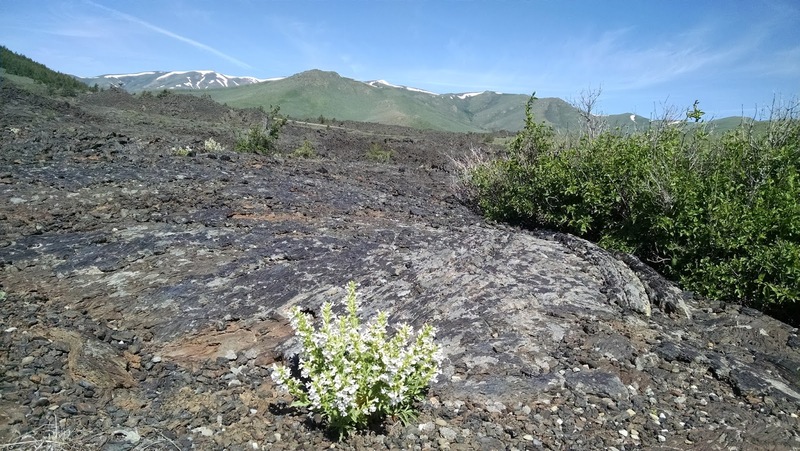 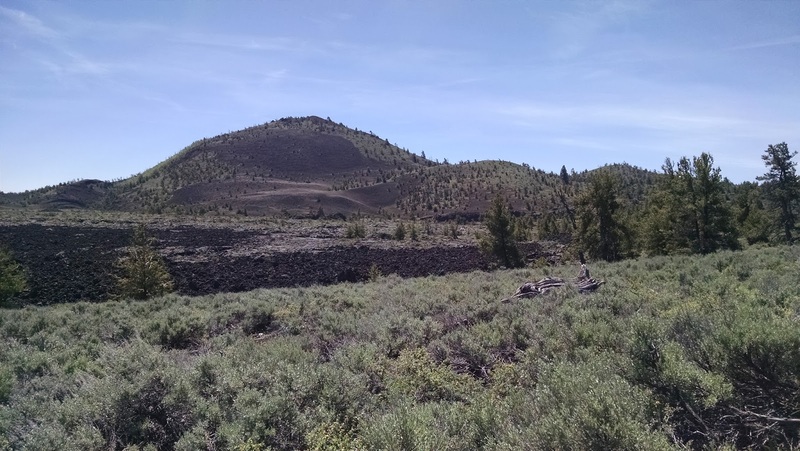 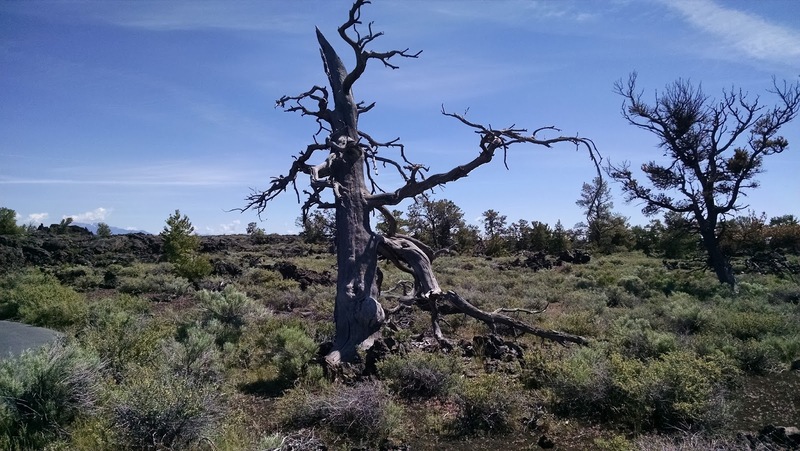 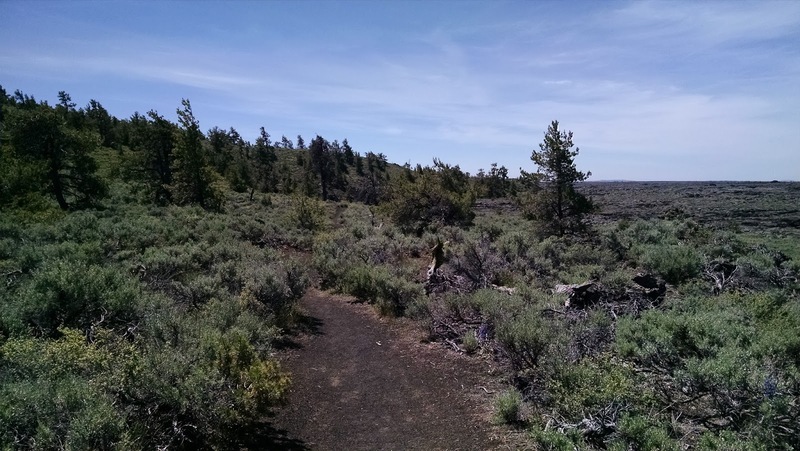 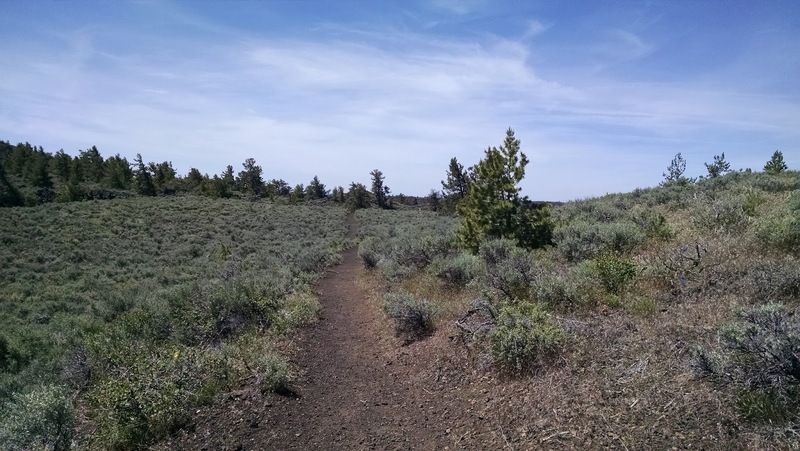 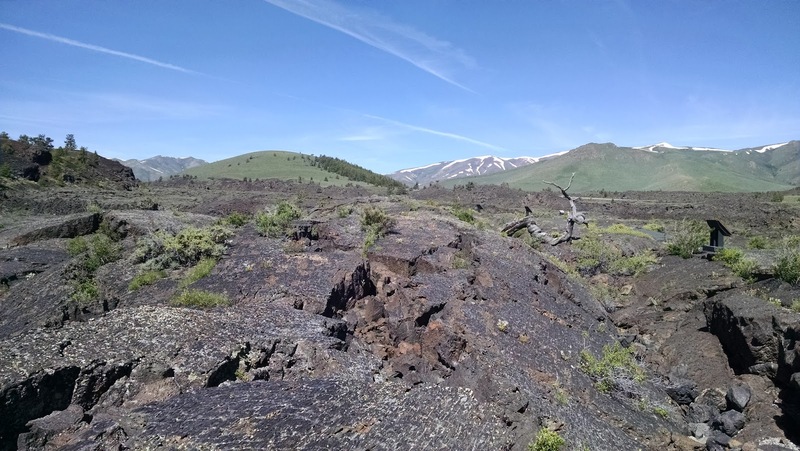 This part of Idaho obviously was very active some 15,000 years ago and the natural beauty that the lava left behind can be seen today. Getting into the park was simple enough, just pony up $15 and proceed to follow a loop around the park in your car. 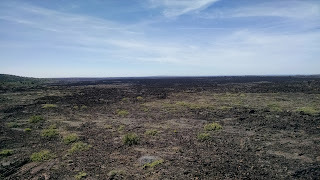 About every half mile (or so) the road would have a short turnoff for a place to check out. 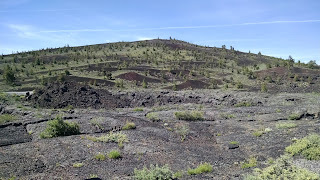 Each spot had a very short, self-guided hike. 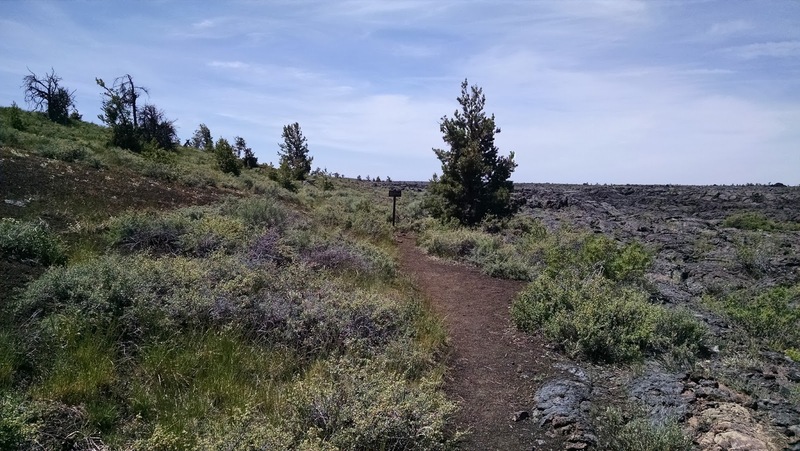 There were a few areas that invited you to take a longer hike but for the most part each hike was under half a mile. 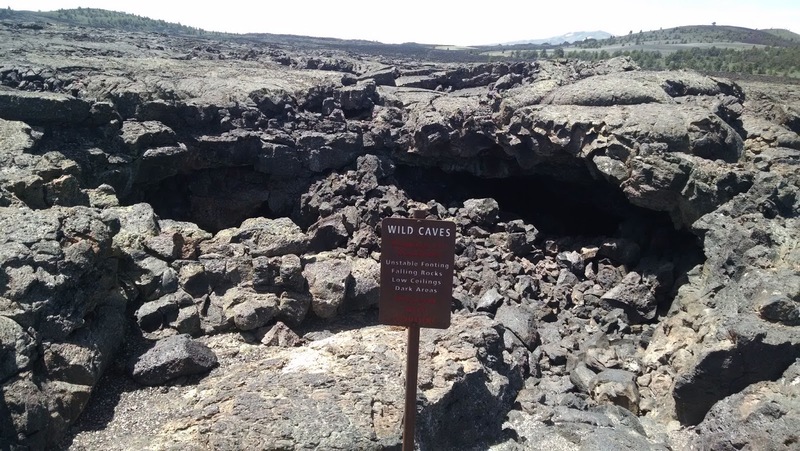 If you want, you can obtain a cave permit to explore some of the caves -- however, I believe there were certain restrictions. 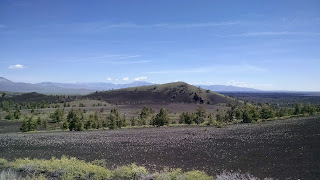 The north crater flow was the first stop off. 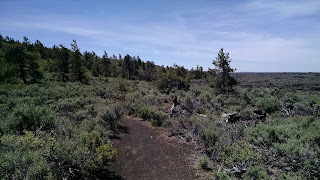 It consisted of a very short, paved walk -- about .3 of a mile. 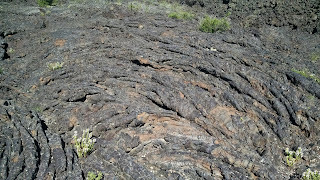 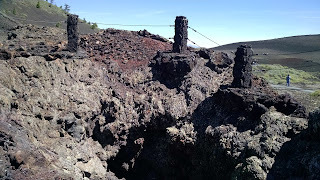 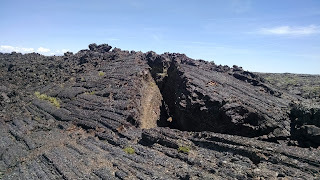 I got a chance to see a lot of the lava turned into rock. There were some informational signs about the history of the park and a small hike up a hill for a mini view of the north end of the park. 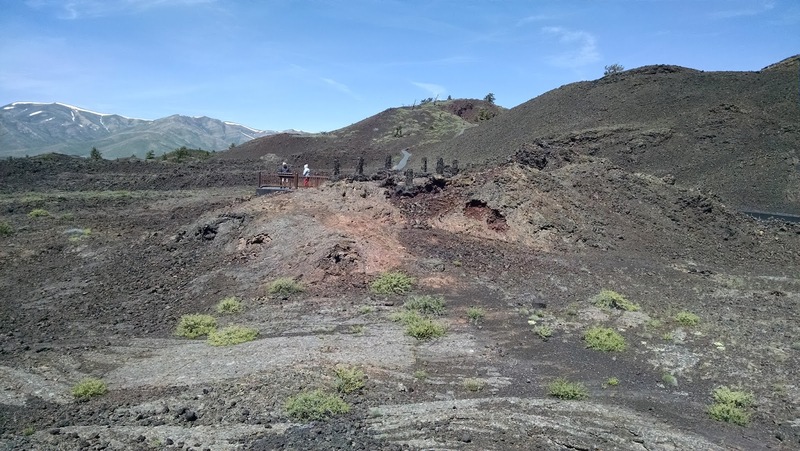 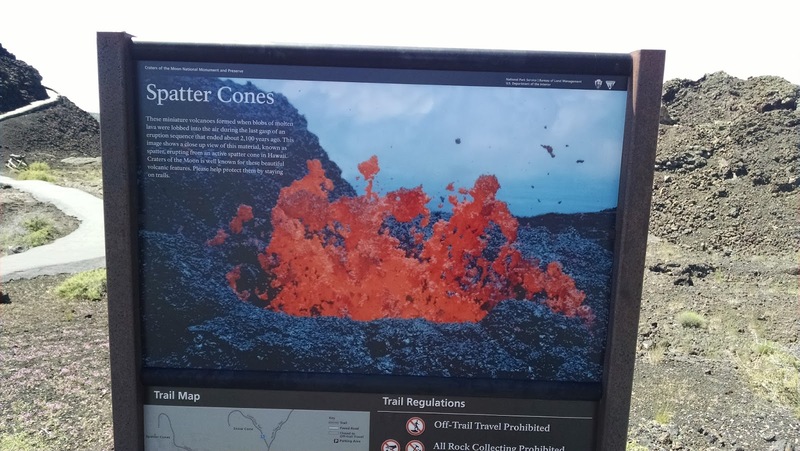 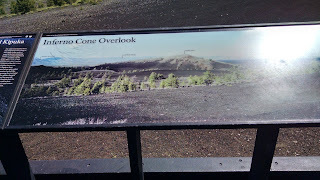 Another short drive led us to the Inferno Cone. This is a huge mound or hill that reminded me of some of the large sand dunes in the midwest. 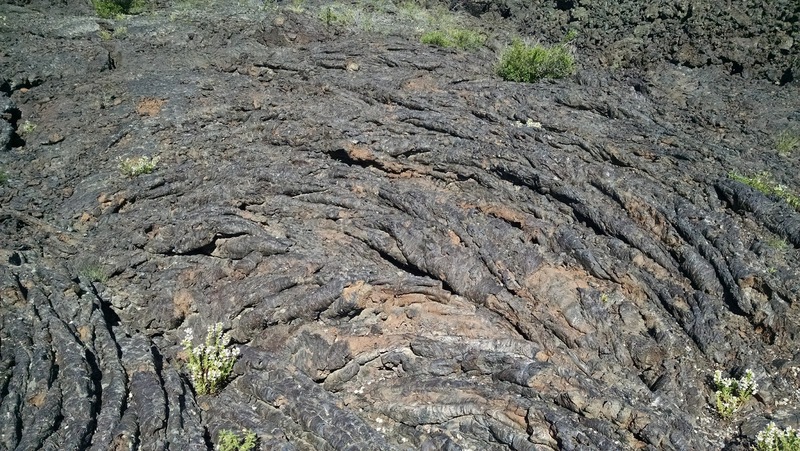 Except this one was tiny shards of lava rock. 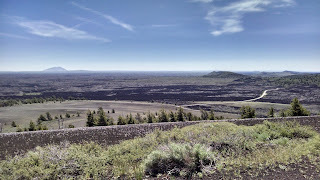 It is a strenuous third of a mile climb to the top, but the views are definitely worth it. Another short drive away was the Tree Molds. 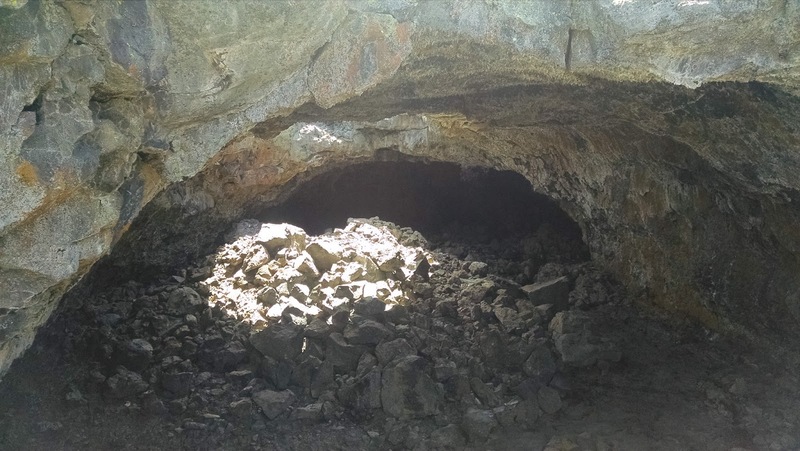 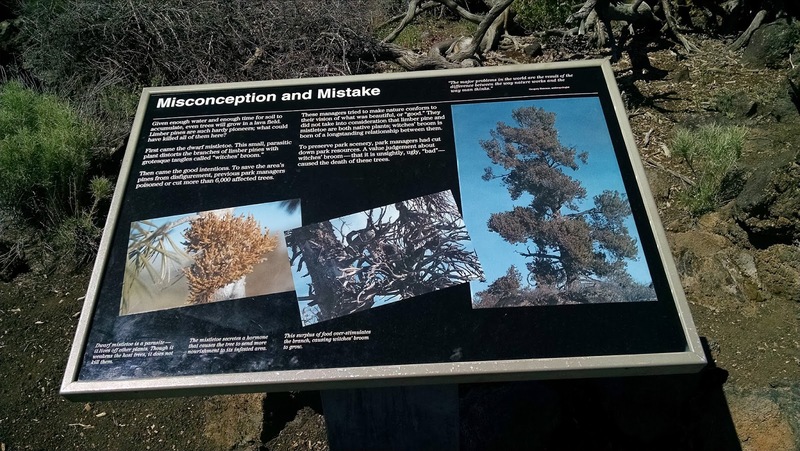 If you aren't planning on doing any hiking you can skip this one. 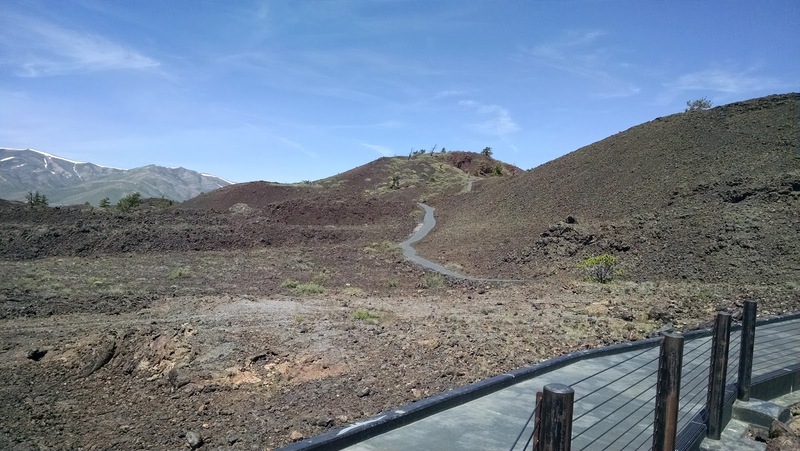 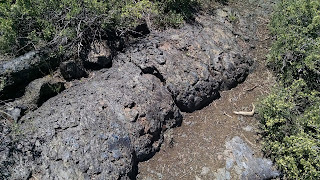 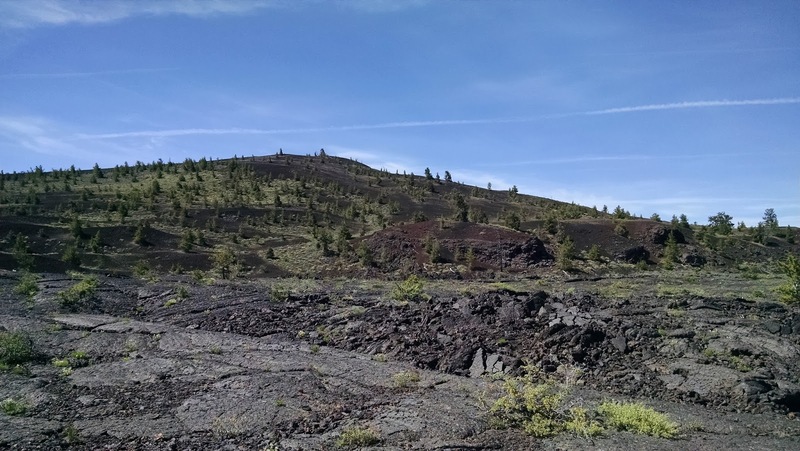 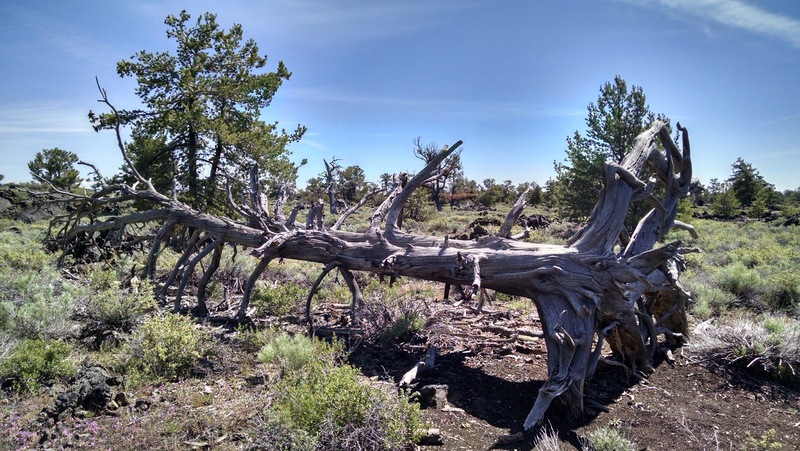 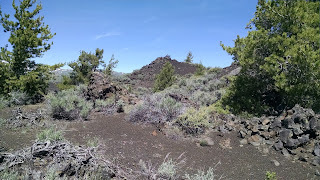 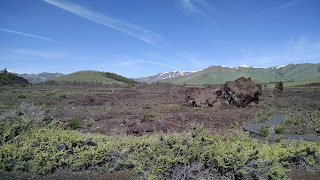 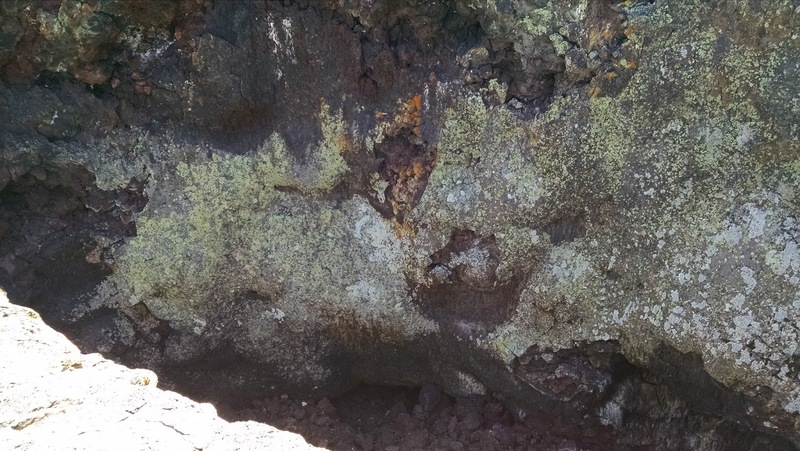 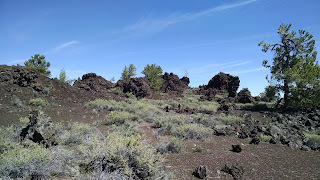 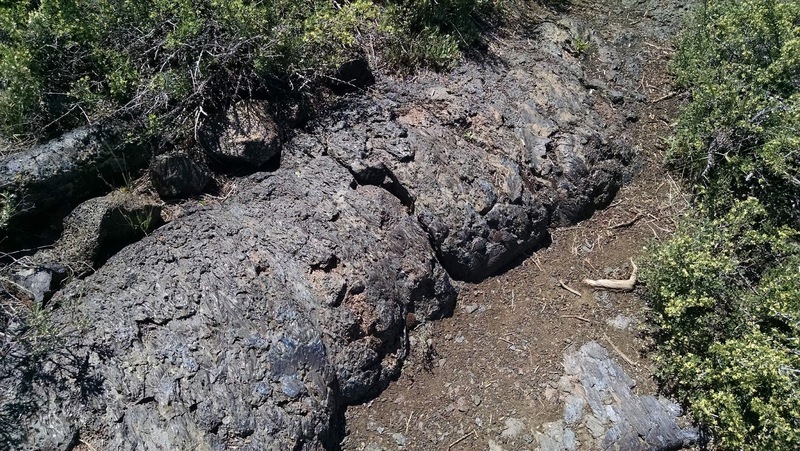 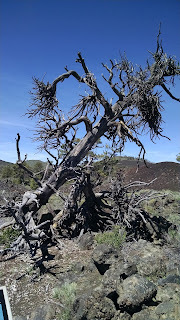 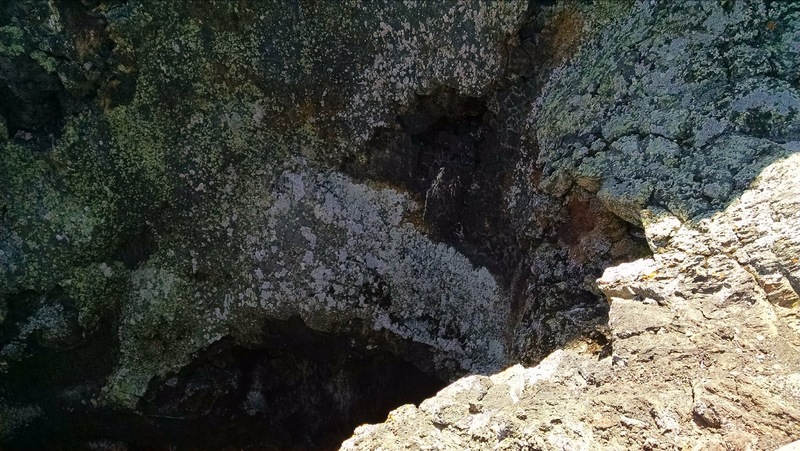 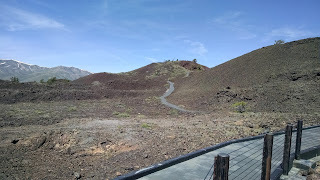 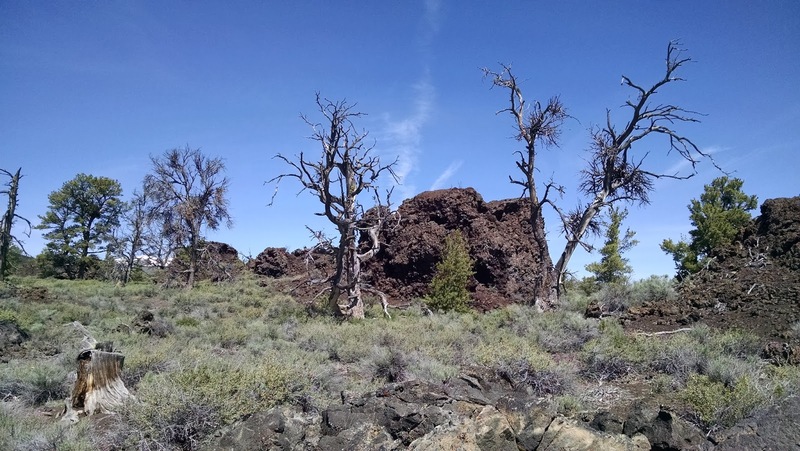 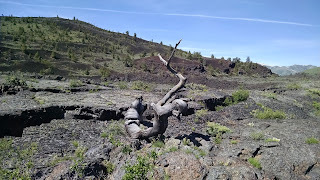 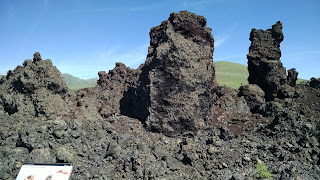 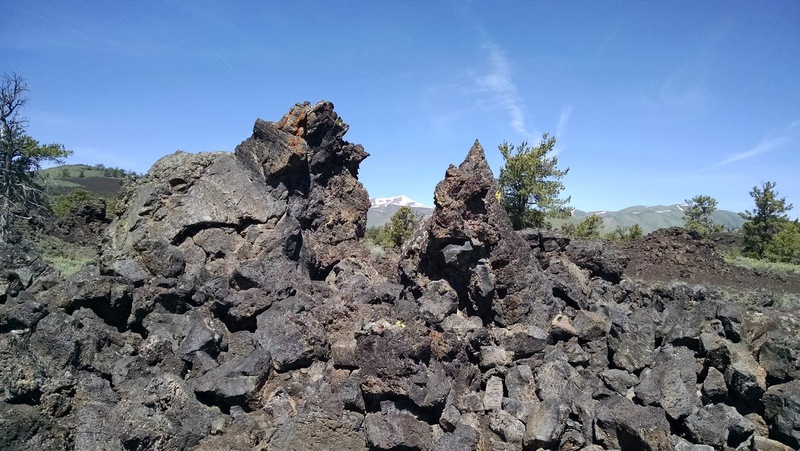 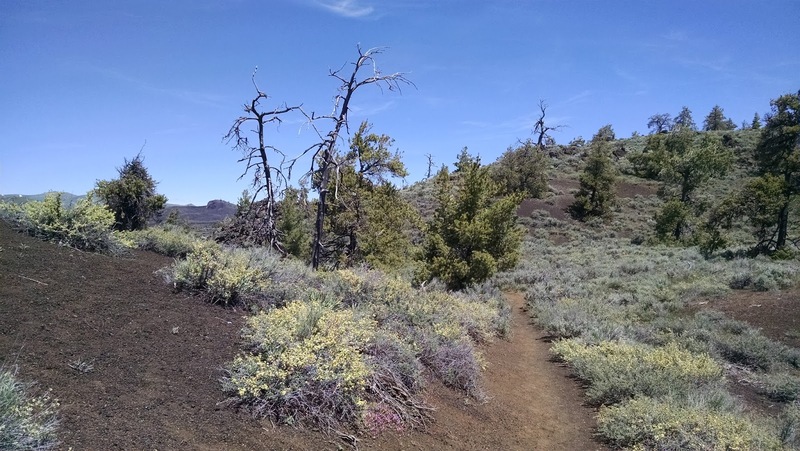 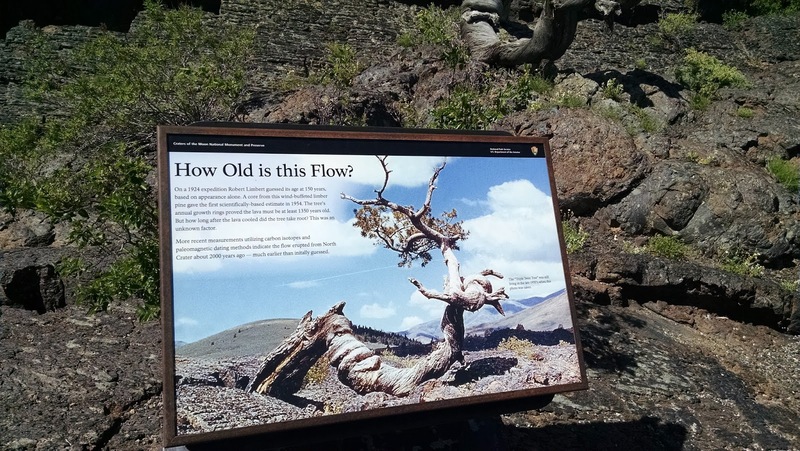 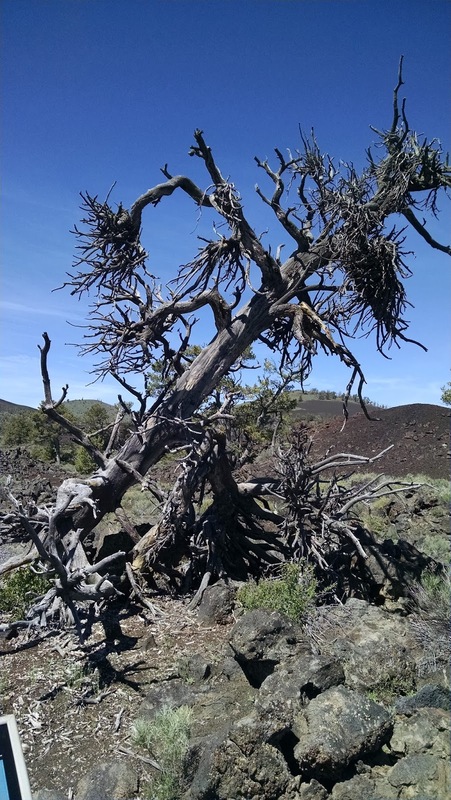 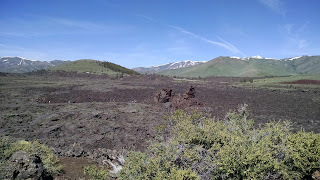 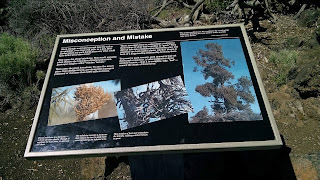 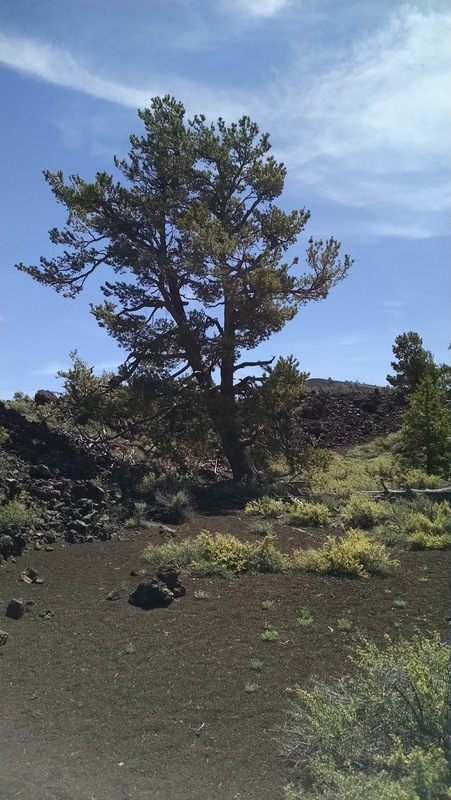 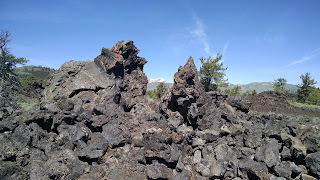 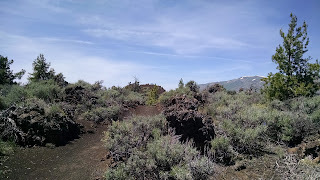 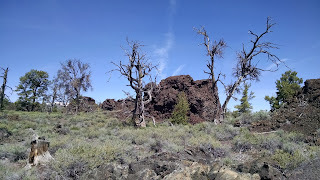 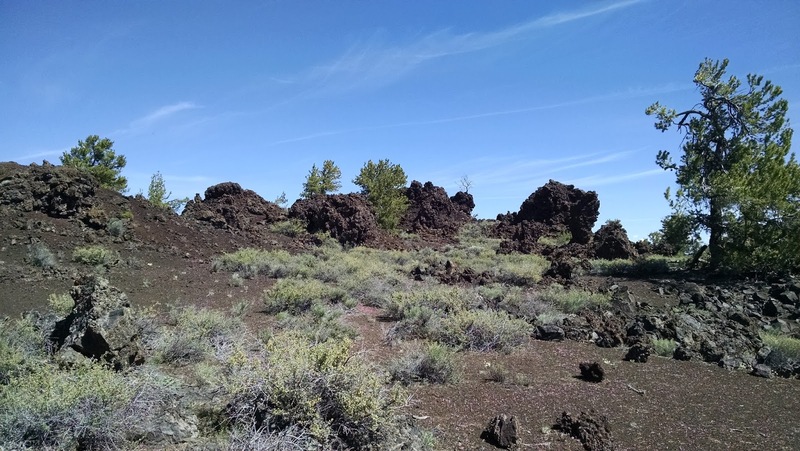 I didn't find it too interesting, but if you are willing to hike a mile (each way on a dirt path) you can see some trees that have been encased in lava. 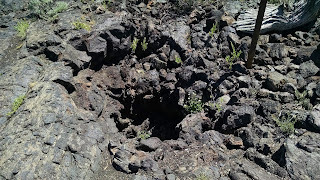 They are embedded into the ground and to be honest I wasn't that impressed. It was a mildly interesting hike and I managed to run most of it. There is also another (longer) hike from here as well. 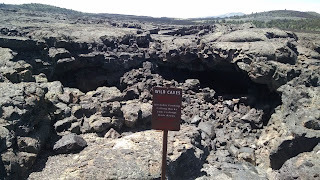 The final stop of the park was the Cave system. I had not acquired a free pass to explore the caves and to be honest, we were getting hungry and had been at the park for about 2 hours. 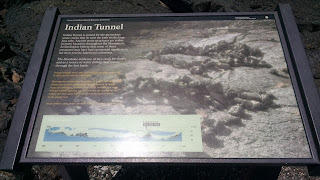 That didn't deter me to at least walking to the Boy Scout tunnel and taking a few pictures of the entrance. 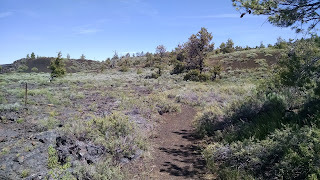 The trail here is paved but is uneven. 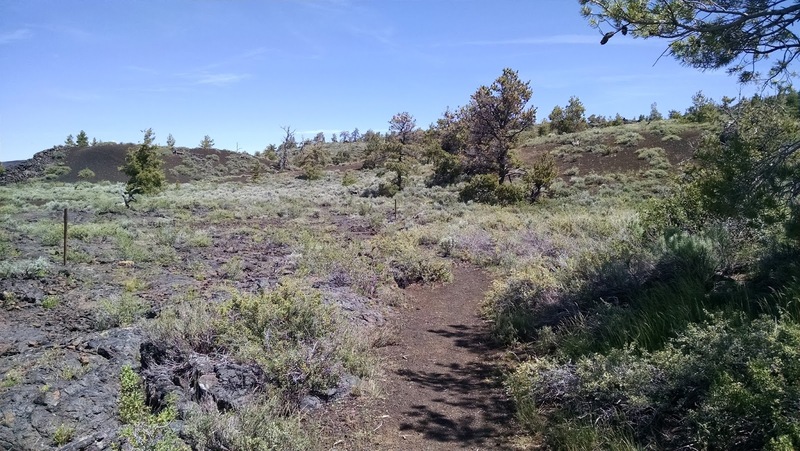 I ran parts of it and I was constantly stubbing my toe and almost tripping. 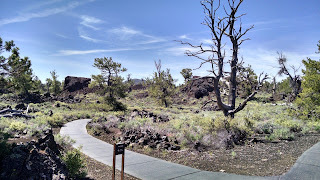 The hike to the caves was nearly a mile as well. 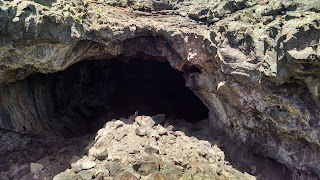 The cave that I saw did not appear easy to hike. 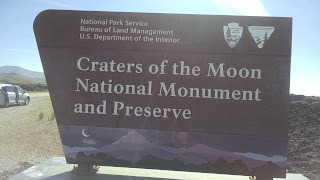 So bring appropriate attire and a flashlight. 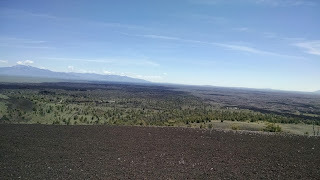 Overall, I had a fantastic time here. 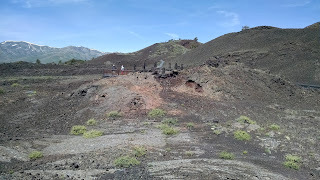 You can easily spend an afternoon here but for most casual visitors, 1 - 2 hours should suffice. 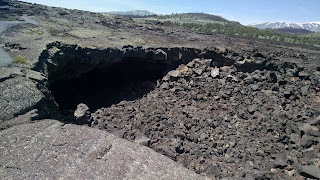 It is also very handicap accessible. The visitor's center did have water but I don't recall seeing any food. Most of the stops had a bathroom and a drinking fountain. 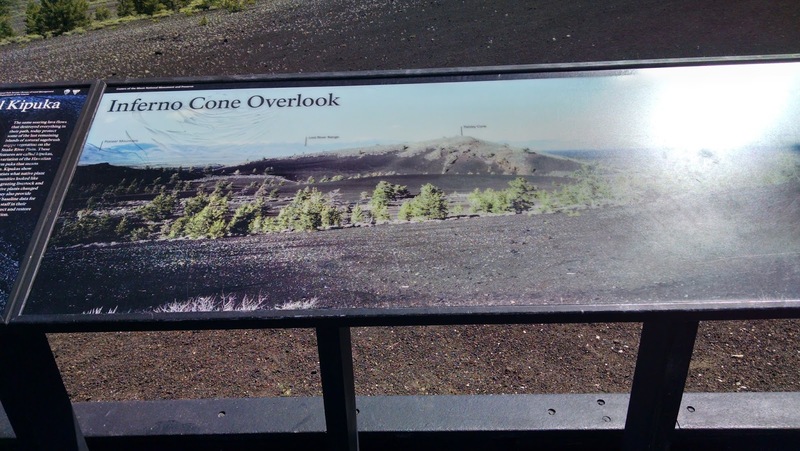 There isn't a lot of shade here, so dress appropriately. 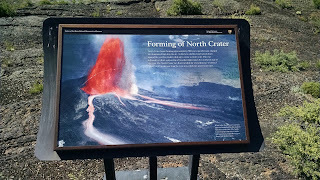 I would definitely recommend a stop here and it is certainly well worth the detour.